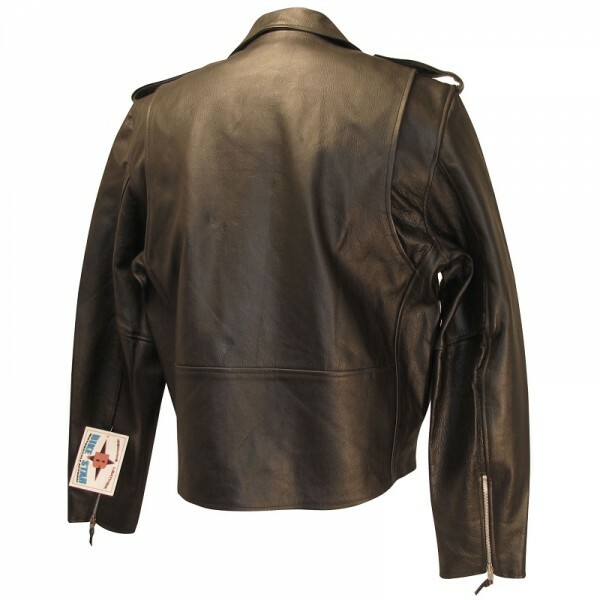 Original motorcycle jacket, rugged and ruthless in every way. Made from tough black leather, with out side laces, heavy duty buckles, zippers and complete with zip out quilted liner. 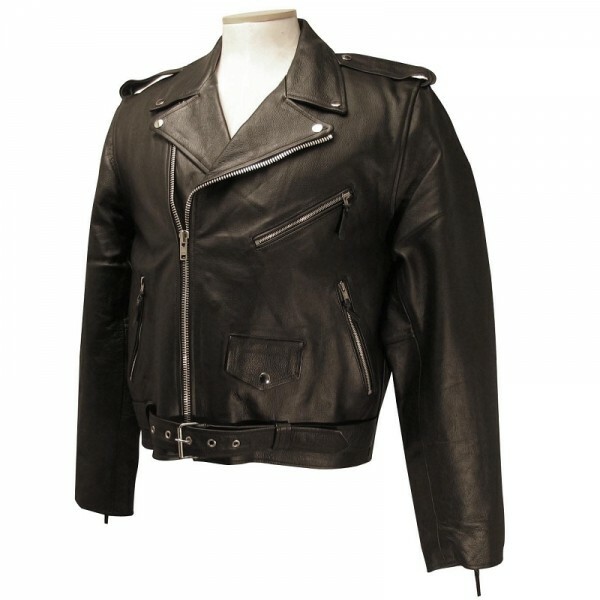 This jacket is a snug fit so order larger if you are between sizes.